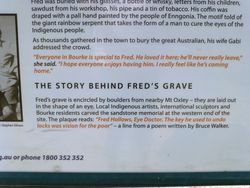 The grave commemorates Professor Fred Hollows. 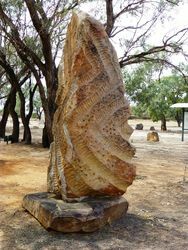 In February 2006, the original gravestone was replaced with a new granite sculpture, commissioned by the Hollows' family, created by Austrian sculptor Andreas Buisman and erected with the generous support of friends, the Bourke Shire Council and local community. 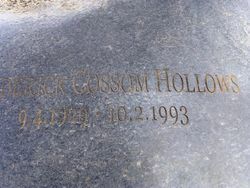 Fred Hollows was 63 when he died on 10 February 1993. On 17 February 1993, after an official state funeral at St Mary's Cathedral in Sydney, and in accordance with his own wishes, Fred Hollows was laid to rest in Bourke, where the red dirt and mulgas signal the start of the outback, which he loved so much. 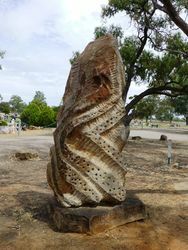 Professor Hollows is highly regarded for his work with Aborigines in the Australian outback. 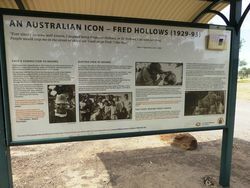 Professor Hollows became caught up in the plight of Aborigines, alarmed by the high incidence of trachoma in aboriginal children. 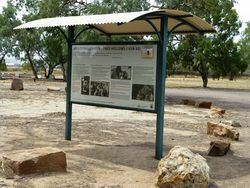 He was instrumental in setting up the Aboriginal Medical centre in Redfern in 1971, and was later founding director of the National Trachoma and Eye Health Program. 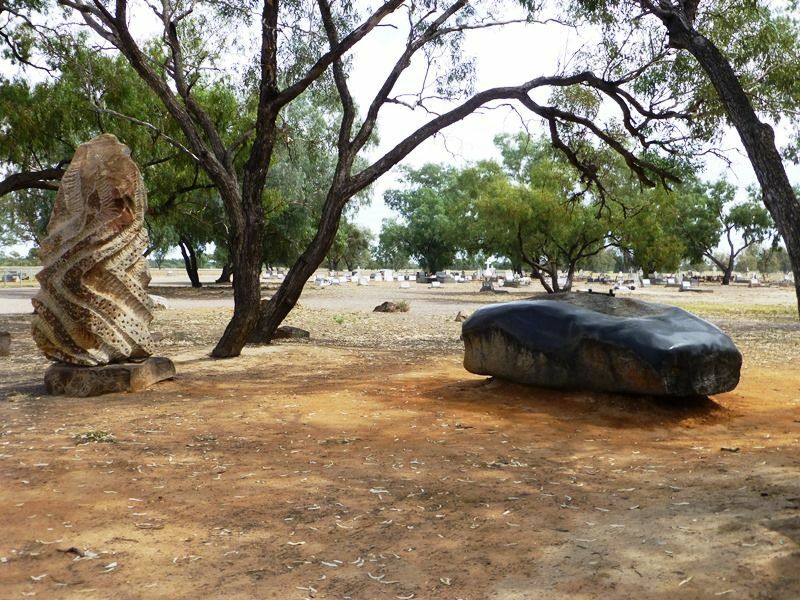 His forays into the Australian outback with his mobile clinic were legendary. 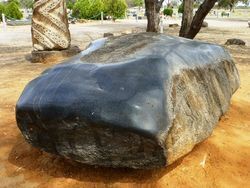 He established an international reputation for his work in Bangladesh, Burma, Nepal, Vietnam, Latin America and Eritrea. 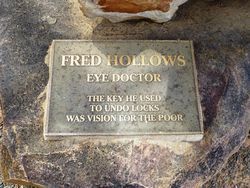 He devoted his career to establishing clinics and raising money to build factories in Third-World countries to make intra-ocular lenses needed to cure patients blinded by cataracts. 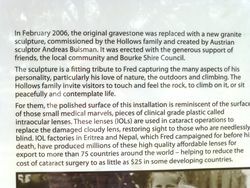 He was motivated by the fact that 20 million people—80 per cent of them in third world countries---were blind because they had no access to the basic surgical process that implants the lenses.